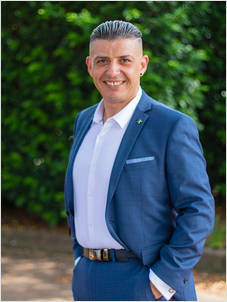 A long-time local area resident with an excellent understanding of local area dynamics, Alex’s open and empathetic ear combined with a genuine interest in the needs of every person he deals with has seen him win multiple awards as a high performing real estate sales agent across several different Sydney locations. A caring family man who loves spending quality time with friends, Alex enjoys a challenge, whether it be to push himself to achieve his own personal goals, or push his own knowledge and experience to achieve the absolute best results for his clients. Alex is always striving for better which makes him a valuable asset not only to the Real Estate industry, but to each individual he works with.